Any Suggestions For Incontinence And Chronic UTIs In A Senior Dog? Do you have any suggestions for crystals to help with incontinence issues and chronic urinary tract infections in a senior dog? Thank you! Thank you so much for your question about crystals that will help your dog. I would recommend Amber which has an overall healing quality that is excellent for aging pets and works specifically with the healing of Urinary tract issues. 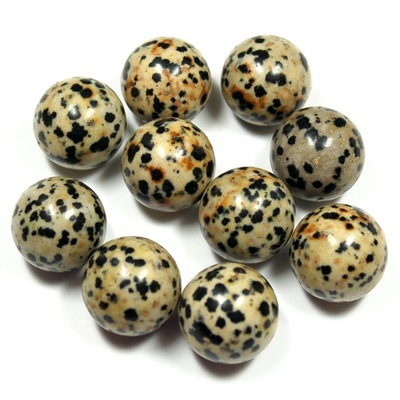 I also recommend Dalmatian Jasper for its calming energy that will make you and your dog more comfortable. It is also great for removing negative/toxic energies. Try charging your dog's drinking water with the Amber by placing it on the outside of the water (do not place it in the water since that could be harmful) and place the Dalmatian Jasper by where your dog sleeps. Thank you again for reaching out to us and for your support of Healing Crystals.com. I hope that I have been able to answer your question and that you will feel free to let us know if you need any further information.